Do you suffer from allergies, asthma or other health conditions? Mold, dust and other harmful particles have accumulated in your system. Have us come and clean your ducts for a healthier and dust free home. Most allergies come from the air. All of the indoor air comes through the air ducts. Bacteria, mold, dust mites, pollen and fungi are sent throughout your home. Let us make a healthier indoor environment for you and your family. Why should I get my air ducts cleaned? There are two main reasons you should have your air system cleaned. First, you and your family (or employees) will be breathing cleaner air. Is there anything more important than the health of your loved ones and employees? Secondly, having a clean air system saves money on your energy bill. A clean air system runs more efficiently, and reduces costs for heating and cooling your home. 24 hour service, 7 days a week - our professional teams are ready. Proper air duct cleaning and furnace cleaning can dramatically improve your home’s air quality. By cleaning your air ducts, you can reduce dust and allergens in your home, as well as contributing factors to asthma and other respiratory problems. 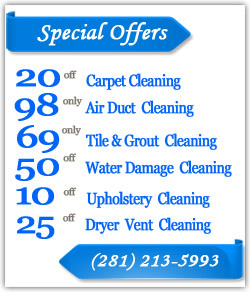 Air Duct Cleaner Stafford Company offers mounting and cleaning services. We are at your disposal with any problem you might have with air duct cleaning. We are able not only to improve the indoor air quality, but also to change different parts of the system, and also to clean the ducts using the dryer vent cleaning system. No matter if you are looking for residential duct cleaning or commercial duct cleaning, you can be sure that we are the company you were looking for.